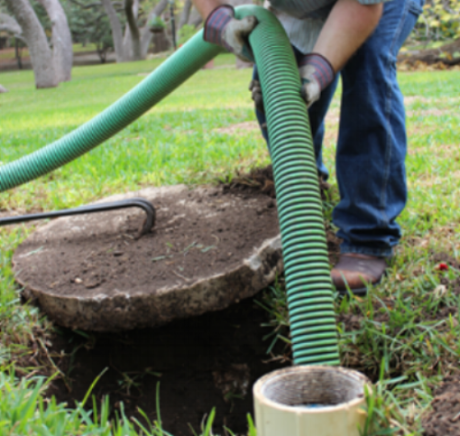 Monty Sanitation offers a maintenance program to help you keep track of the state of your septic system. Twice a year Monty Sanitation will check the level of your tank, clean the filter, determine if your septic system needs to be pumped, check the drain field for proper functionality, and will provide an estimate for any service that we discover the tank needs. This program is geared towards residential properties that have tenants, but this program, and proper septic maintenance, in general, would be a benefit to the average homeowner as well. Residential properties with tenants are recommended by us to be pumped every year, but with the introduction of the maintenance program, we have found these properties can be pumped on a regular residential schedule of once every other year. Traditional homeowner properties can expect to go an additional two years (4 total) between pumps. The maintenance program also provides a 5% discount on all other services including costly repairs. The discount on a repair is enough to pay for the program for multiple years. We’ve estimated that this program saves homeowners at least 10% savings annually on septic maintenance while providing peace of mind that your septic system is receiving professional care. All service will be performed during regular business hours, Monday-Friday 8:00 am-4:30 pm. Repair savings only valid beginning 120 days after signing. Maintenance proposal must be approved and returned prior to one month before the first service date. 5% discount not valid on any service outside of regular business hours. May not be combined with any other offer.